mxODBC is in production use by several Fortune Global 500 companies, including Intel, IBM and Royal Bank of Scotland, Google and many other "smaller" companies all around the world. Please write to sales@egenix.com for more information. The International Peace Research Institute, Oslo (PRIO) uses mxODBC and mxDateTime in conjunction with Python for a range of data management issues, including the UCDP/PRIO Armed Conflict dataset and the MIRPS political regime dataset . Preparing data for the academic community is a core activity for this institute, and these datasets are widely used both for research and policy recommendations, for instance in the Human Development Report . The data programs involve a significant range of sources and contributors, and we have found the unmatched flexibility of the eGenix.com mx Extension series invaluable in our effort to maintain a precise and well-documented data production and retain a healthy budgetary balance. The ability to combine various data sources, ranging from MS SQL Server to text files through ODBC, with the efficiency of Python has been very valuable to us. 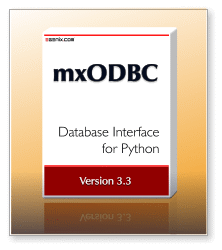 The eGenix.com mx Extensions form the crucial link between the Python Language and ODBC. We chose this package because of its stable performance, and ease of use combined with a rich list of features, most important of these the very precise ability to handle temporal information. Please pass on my congratulations to the development team for a superb software product. We've been running with mxODBC for 4years now, and have had no problems whatsoever with your middleware.